Let’s face it, fuel efficient trucks are like double-dipping. They can tow and haul stuff, and they won’t chew up as much money from day to day. Stopping constantly to fill up a giant tank can get expensive and old after a while, which is why customers are demanding more fuel efficient trucks. Trucks these days come in a wide variety of powerplants, so in a few instances you’ll see the same truck appear twice, only with different engines. Also, some of these numbers depend on whether the pickup is 2WD and the size of the cab. So with that said, here’s a list of fuel efficient trucks for 2018 models. If you want a big truck to take on big jobs, this is one of the few that will provide decent fuel economy. 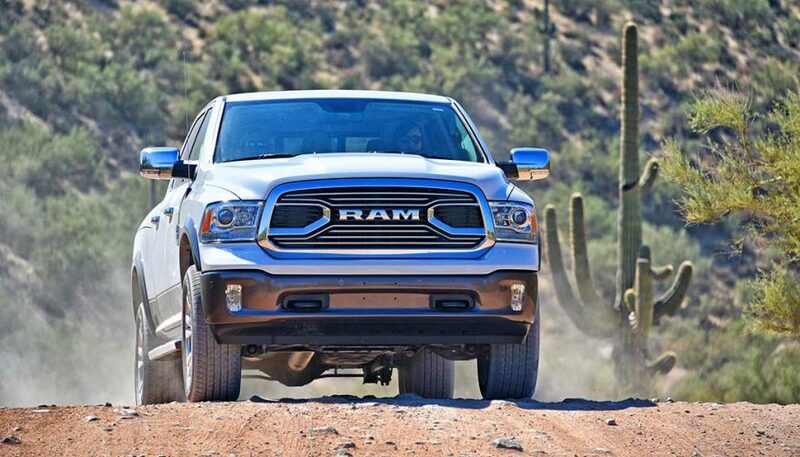 Sadly, 17 mpg in the city isn’t anything to get worked up over for most vehicles, but most can’t do what the Ram 1500 can. 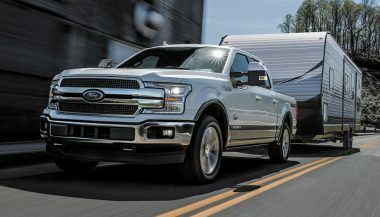 With the Pentastar 3.6-liter V6 under the hood, this truck can tow over 4,700 pounds, so taking along some campers, trailers and boats is not a problem. You also get a nice, big bed for hauling whatever. And you can add the RamBox cargo areas in the bed rails, which are an incredibly cool solution. 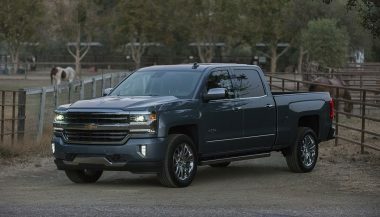 With the 4.3-liter EcoTec V6, the Chevy Silverado is another full size truck with decent fuel economy. Peak torque output comes in at 305 lb-ft, while 285 horsepower is all right. 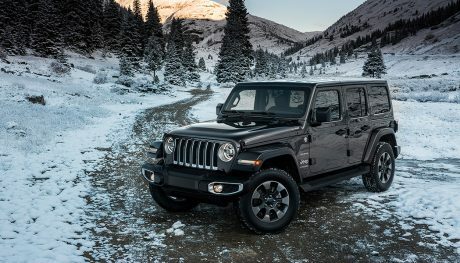 Of course, this pickup has been designed to tow and haul, with equipment like an external engine oil cooler and an exterior transmission oil cooler. All Silverado pickups come with that cool CornerStep rear bumper, which makes climbing up to get something in the payload without lowering the tailgate easy and safe. You can also get 4G LTE mobile WiFi in the truck, so pretty much everywhere there’s a high-speed internet connection. 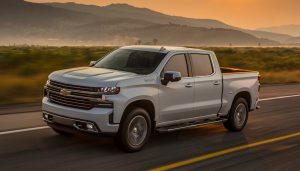 As an option with the 5.3L EcoTec3 V8 engine, you can also get your Chevrolet Silverado paired with a mild hybrid system capable of similar fuel economy. 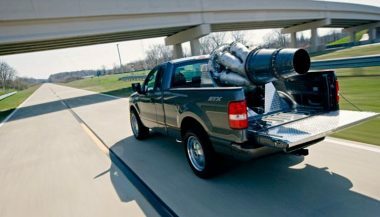 Chris had liked the idea of cruising around in a jet powered pickup so he dropped a jet engine in the truck bed and there isn't another one like it. 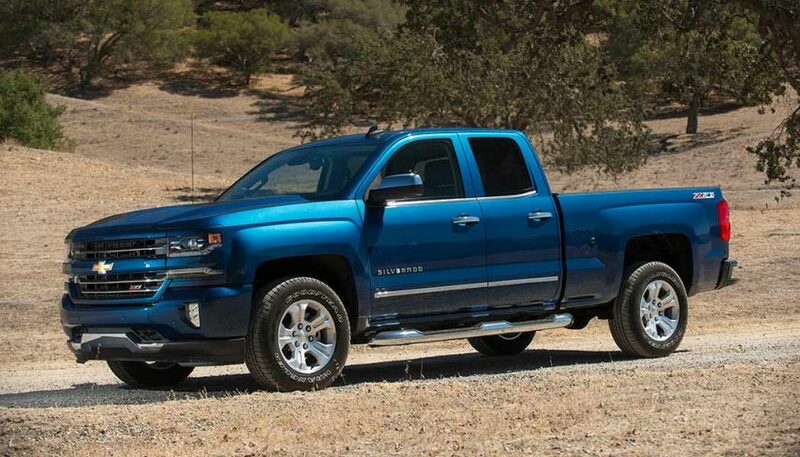 Even though it has that modern look, the Chevy Silverado 1500 retains that meat-and-potato vibe you want in a truck. It's truck, meant to do truck things.